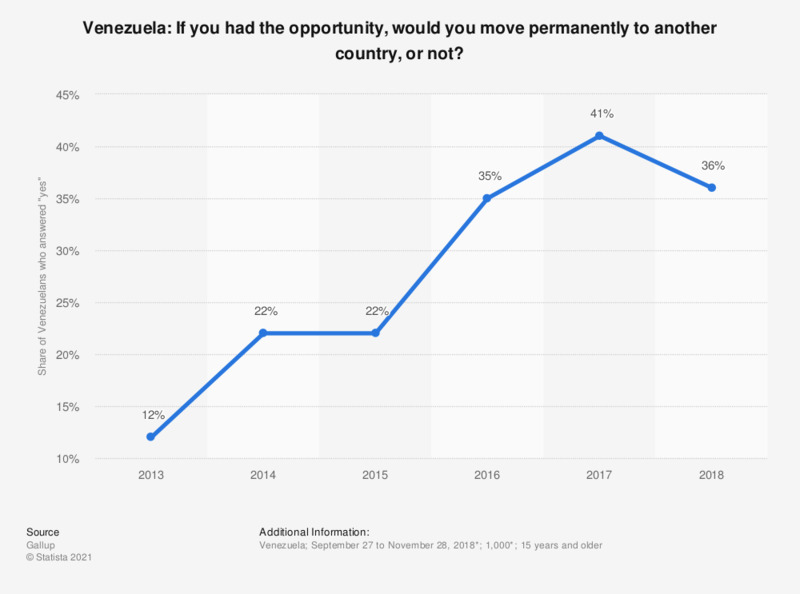 This statistic shows the results of a survey among Venezuelans from 2013 to 2018 on whether they would like to leave the country permanently if given the chance, or not. In 2018, some 36 percent of respondents stated they would like to leave the country permanently if given the chance. Share of Venezuelans who answered "yes"
The original question was posed as follows. "Ideally, if you had the opportunity, would you like to move PERMANENTLY to another country, or would you prefer living in this country?" * The source does not provide exact survey dates or number of respondents for the previous years.